Lost Himalayas! | Quest That Change…. We boast, we host, and we are lost! It sounds the legacy of mighty Himalaya and its people. Here, agencies seem boasting the urgency and the welfare of mountain ecosystem (! ), while people in the region are hosting their dialogues with utmost care, and then they are lost somewhere. The remains of show become reports in office files and implementation a nightmare to our extenders. 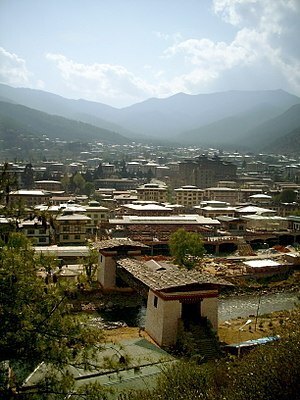 The upcoming Bhutan Summit in Nov 2011 also known as ‘Climate Summit for Living Himalaya’ might have the same fate. ost South Asian countries. The summit is convened by Governments of Bangladesh, Bhutan, Nepal and India, that will lead to adoption and endorsement of next 10 years climate change adaptation road map to ensure food, water, energy security vis-à-vis maintaining biodiversity for the region. It also mandates financial collaboration in the implementation of road map and creation of a regional expert group to advice government in such actions. India is given the responsibility of ‘Food Security and Livelihood’ core group meeting and regional consultations. To note, interesting it that, not many people from Indian Himalayan region are aware about such consultation and what road map is going to be prepared at such meeting in New Delhi. about their food security and livelihood, given that agriculture is not very much practiced in this region due various ecosystem dysfunction, population pressure and climatic vulnerabilities. The proceedings of the meeting mainly focuses on agricultural technologies, while the pressing issue of livelihood didn’t get much attention. However, the present scenario is that, livelihood is among the most important aspects of planning in this region, and the way forward relates to promoting Agro-forestry models, Horticulture, Eco-tourism and wise water use, among others. The dilemma of Himalayas is that, there is dearth of agencies those work inclusively without boasting themselves. Another concern is that, we host such events without thorough consultative processes, which in real sense require various such considerations. And the third challenge is that we come-up with very superficial road-maps those have no practical meanings. Wrote this article for Climate Himalaya’s Youth Leaders Speak Column.